Susan Schrott is a Diplomate in Clinical Social Work, a Licensed Clinical Social Worker, Certified Eating Disorder Specialist, Certified Kripalu Yoga Instructor, Artist and Actress who splits her time between New York City and Shelter Island where she has her art studio. As a textile artist she synthesizes her life experiences into deeply personal yet uplifting images. 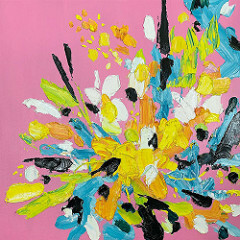 The majority of her artwork features strong, joyful women, trees of life and abstract pieces of art. Exquisite hand dyed fabrics, intense threadwork, embellishments such as crystals and beads add visual texture and depth. 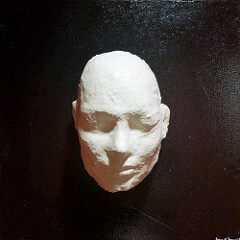 Her award winning artwork has gained critical attention and has been featured in numerous National Juried exhibitions as well as museums and venues around the country. Her artwork appears in permanent installations in Israel, is among numerous private collections, and has been selected for art and mental health publications. 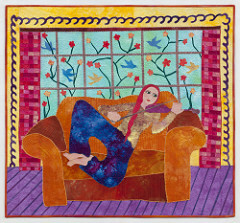 She is a professional member of Studio Art Quilt Associates (SAQA), Actor’s Equity, Jewish Art Salon, The National Association of Social Workers (NASW), International Association of Eating Disorders Professionals, (IAEDP),EMDRIA, Academy for Eating Disorders (AED.